Euroland 4×4 Center – formerly of RoverLand » Land Rover Mercedes BMW Porsche We specialize in All European 4x4! We can build to order Defender 90, Defender 110 and Range Rover Classic restoration!!! Brands such as Textar, Ferodo, Brembo, Delphi, Bilstein, Bosch and more that are used by factory. We offer this brand at the best quality price to keep your vehicle properly maintained. 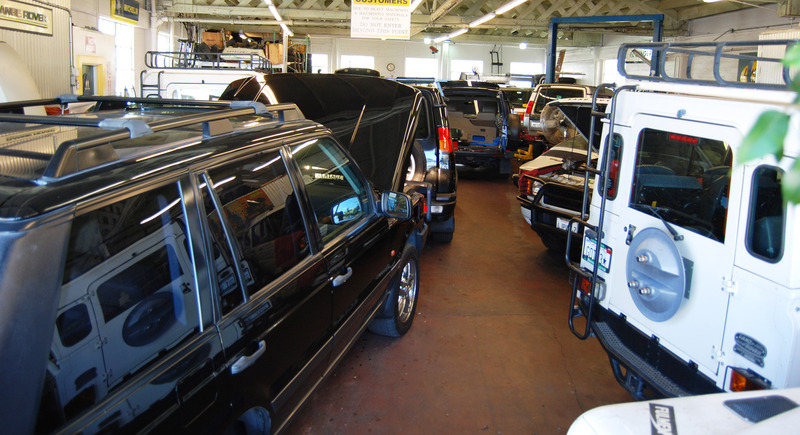 Twenty years ago with the lack of an independent Land Rover specialist to maintain, service, develop and provide Off Road preparation, we rolled up our garage doors on March 1995 to Land Rover enthusiasts. We are the first original Land Rover Specialist dealer alternative! The success of Land Rover’s fine Luxurious Off-Road Vehicle opened a wave of other luxury European SUVs. The finest of these are Porsche, Mercedes Benz and BMW. In 2012, with the high demand from our friends and clientele, we expanded our services to the finest of these European SUVs-Porsche, Mercedes Benz and BMW. Along with our business, our family also grew in 2002 with the birth of our triplet girls, we added three future Land Rover and Off Road vehicle enthusiast. Philippe – Originally from the beautiful South of France, The Provence, was originally a Rolls Royce, Bentley technician. He added Land Rover to his knowledge and specialty and is very fortunate to be one of the technicians to be certified at Land Rover in Solihull, England. Gary– A factory trained Land Rover Technician, he has two passion-his love of cooking and Land Rover! He can put together a meal fit for a king! He is amazing in the kitchen and can be an awesome Chef any time, but thank goodness he choose to be a greater Land Rover and Off Road vehicle technician!! !